In April 2014, I watched the #WeNeedDiverseBooks hashtag take over my Twitter Feed. I remember watching it and reading all the tweets, and trying to understand the urgency that was clearly evident in everything that was being said. Perhaps some of you are criticizing me now, but there you are. I didn’t join in. I didn’t feel qualified to join in. Instead, I listened. I examined my own self and worked to figure out what I really thought about all this. I thought back on my childhood reading. I remembered books like Mildred Taylor’s “Roar of Thunder, Hear my Cry,” and “Let the Circle be Unbroken.” I thought of Rudyard Kipling’s “The Jungle Book” and perhaps there had been some “Dear America” books with diverse main characters . . . and that’s where my memory failed me. Though l grew up in a very un-diverse neighborhood, I always craved to know more about other cultures and people. As a child, I grew up with 2 Tiawanese exchange students who I now consider to be my brother and sister. Before 2014, I lived in a Melanesian country for a year-and-a-half. I learned French and Spanish. I lived in South America for 3 months. I got a Master’s degree in French that focused on the French works from Africa and Haiti and Tahiti and anywhere else French was spoken outside of France. I LOVE other cultures . . .
. . . but I still hadn’t seen the lack of diversity in children’s literature. I hadn’t see it. Even when an editor told me my Ecuador book would have no place in American publishing, I didn’t question that. I was blinded by privilege that I hadn’t even realized I had. It is a no-brainer to me that all people deserve respect. That skin color means nothing. I never saw myself as racist, but I also never acknowledged the inherent racism that permeates the world we live in. I remember the night I first understood. I was out with my dear friend and neighbor. She grew up in Nigeria, but came to the USA for university. She is beautiful and intelligent, and compassionate. When I first met her she’d recently finished her family medicine residency. We were almost home when we noticed our neighbor’s garage door was open. It was late, so we stopped to let them know. Since I was driving, my friend ran to the door, then immediately ran back. She didn’t dare knock at the door for fear of their reaction to her skin color. And it wasn’t a silly fear. Because I was afraid for her, too. Which is why diverse books are so important. Books and stories bring empathy, compassion, and comfort. They help us understand the Other and the Unknown. They eradicate the fear that leads to hatred and racism and bigotry. We have all heard that everyone deserves to read about people like themselves. But diverse books are not just for them. We all need these books. All of us. We need to read about characters from all over the world, from all walks of life, living through all sorts of experiences. Because understanding and sympathizing and empathizing with an Other makes us better humans. It has taken me nearly two years of listening to understand just how much I have to learn. Just how much I wasn’t seeing. So I will be continuing to listen. To those of you know who are speaking out, your voices are being heard. You are making a difference. But please don’t forget how important it is to still listen. Because it takes both speaking and listening for the world to change. One of my favorite parts of becoming an author has been learning about all the other great books that are coming out soon. And even better, I’ve gotten to read a lot of ARCs (Advance Reader Copies). 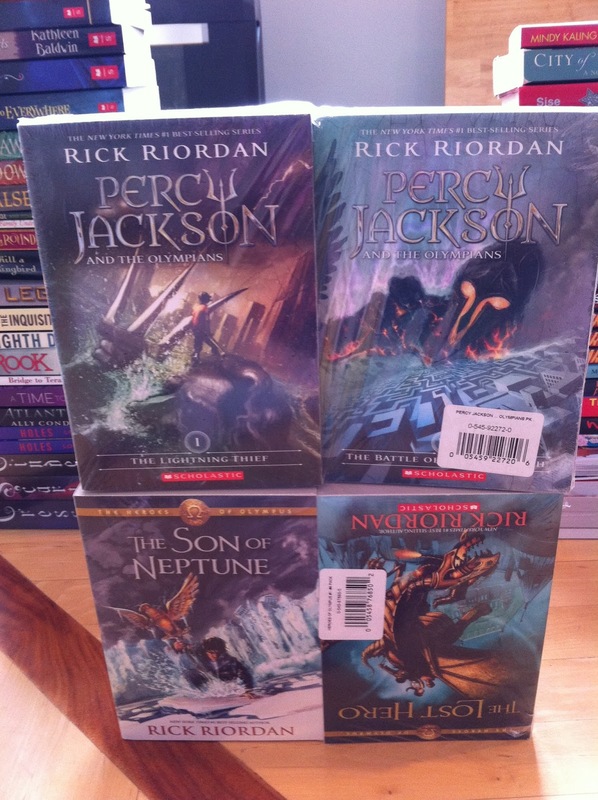 My son has also been taking advantage of this, and he’s gotten to read a lot of them, too. I think I’m going to have him post some reviews in the near future. But in the mean time, I wanted to share with you some of the amazing middle grade novels that have been and will be released this year. Of these 19 books listed above, I have read 16 of them (including my own). You can check out my Goodreads reviews to see what I had to say. But honestly, I have been so impressed! Science Fiction. Fantasy. Mystery. Magical Realism. Historical. Contemporary. Books dealing with loss. Books dealing with change. Books dealing with mysteries. I found kids facing their fears and learning to find their voice. I found kids trying new things and making hard choices. I could go on and on (for your sakes, I won’t). There is truly a book for every reader on these posters above! And although we say that middle grade is for kids ages 8 – 12, I disagree. These books are for people of all ages. I have learned so much about myself and about the world around me as I’ve read these stories. They truly are for everyone. I hope you’ll look some of these up and share the ones you love. So tell me . . . which ones are you most excited for? Or, if you are looking for a book on a certain topic or of a certain genre, please tell me, and I’ll make a recommendation. I just love, love, love hooking up books and readers! The First Box Has Landed! The first box has arrived in Kiribati! I was so excited to get these pictures this last weekend! That is my dad holding the box, and those are the books that came in it. I hope to receive more pictures soon as these books go in the library (it was the weekend, so they had to wait for Monday to take them in), and I promise to share them when I do. Two more boxes are now on their way, and hopefully those empty shelves will look a whole lot less empty in the very near future. Thank you! This is you. You made this happen. You have all made a difference in many children’s lives. And your involvement will continue to make a difference for years to come. I hope you feel that joy that I’m feeling right now. I hope it carries you through your day and leaves a goofy smile on your face like it has mine. Books! Glorious books! (And yes, I’m totally singing that in my head). Over the last couple of weeks, packages of books have been trickling in for our Kiribati Library Project. Boxes crammed full of books. 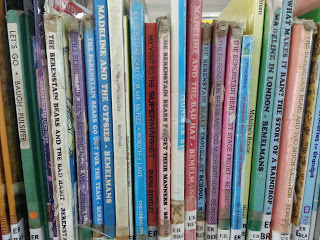 Books signed to the students in Kiribati by authors. Recent releases. Old classics. It has been beautiful to see! And it’s not done yet. Capstone (my publisher) contacted me, and they’re sending a box, too! I am so thrilled, I just can’t even express it. Last Tuesday, an unexpected delivery from Amazon arrived on our doorstep. 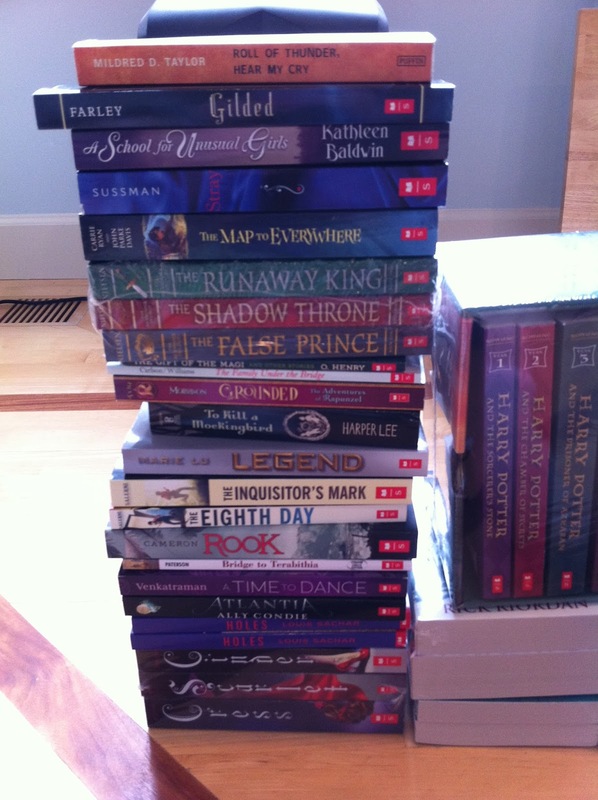 Someone who had already sent us a big box of books had the entire Harry Potter series sent. And I think she pretty much captured why I’m doing this. What an amazing thought! 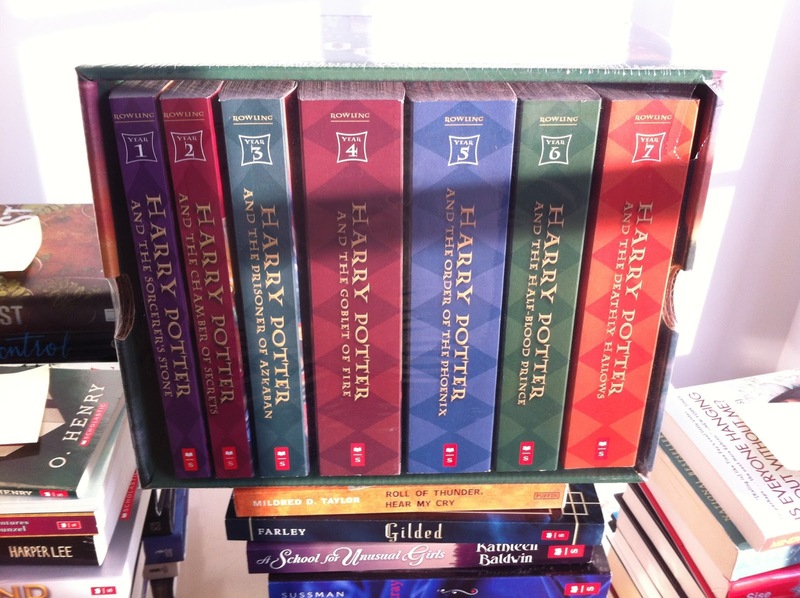 The Harry Potter series has given me countless hours of joy. And she will be giving that to these kids. This will be my last call for donations (so back to regular programing starting next week). 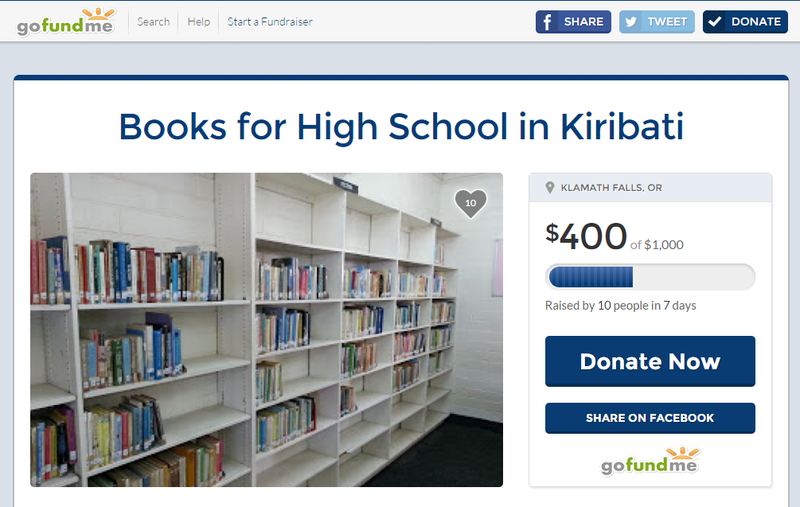 For those interested, you can either donate money at our GoFundMe account, or you can donate books. Just use the Contact Me tab for information on where to send them. Since that first post, I have received a wish list of books from the library. We have received a few on the list, but I wanted to post it in case it inspires anyone out there to join in our cause. That said, if you have books to donate that are not on this list, that is great, too! But this gives a good picture of the types of things they are looking for. Thank you again for reading this post and for all the sharing and donations and well-wishes we’ve received on this project. Imagining these books in the hands of these students makes me so happy. Thank you! The Catcher in the Rye J.D. Those of you who know me well know that my parents left on a religious mission just over a year ago about a month after they retired. Before retirement, my Mom was an elementary school principal and my dad was a high school engineering and science teacher. So it was only fitting that in their service, they went to work in a high school on a tiny island in the Pacific called Kiribati. While their main purpose is to train the teachers and help them pass the certification testing (Mom and Dad, correct me if I’m wrong! ), they also do all kinds of other things such as helping students fill out applications for college, judging school competition events, overseeing the computer lab, and most recently evaluating the school library to determine its needs. This last duty is what I wanted to talk about to you today. Oh my goodness, just so much emptiness. And not only are the shelves empty, but many of the books they have aren’t age appropriate and are falling apart. Now, I love the Berenstain Bears, and I love Madeline, but they are not the books I would choose to put in a high school library. This is not something I could let go. 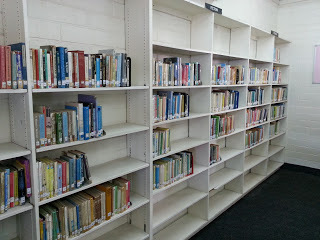 I read their blog post early Sunday morning, and I couldn’t stop thinking about this library. 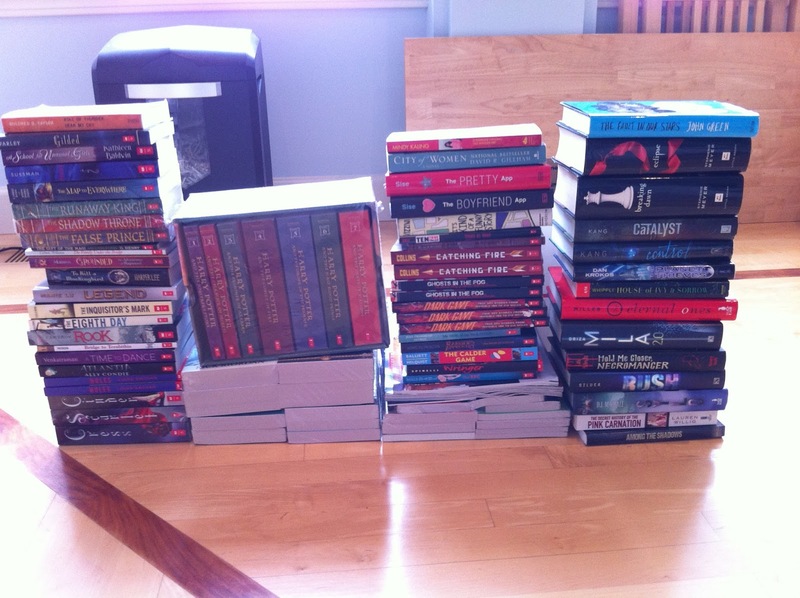 It didn’t take long to decide that my family and I would work together to collect some books and send a package. But you saw that picture. The package we could send would make nary a dent in the library’s needs. And then I got to thinking that maybe others would like to help, too. Because you are my people. You understand how important books are. You understand their power and influence. 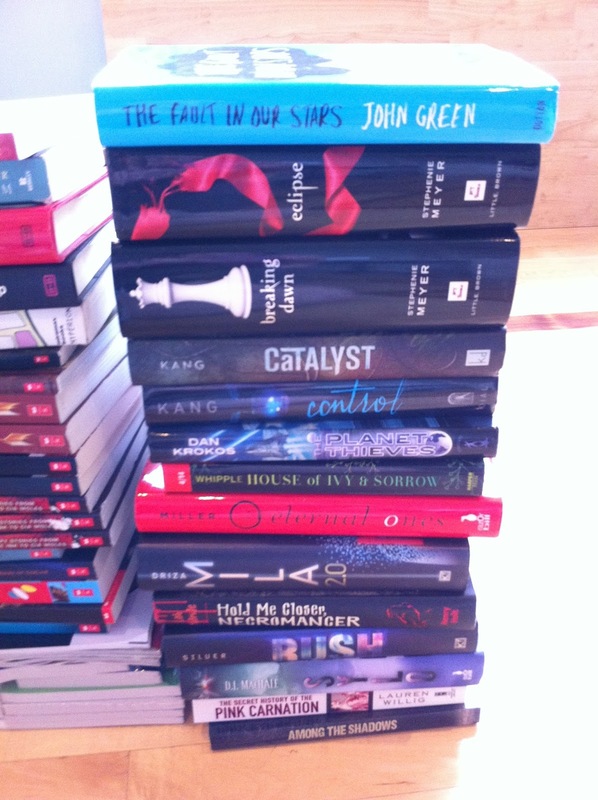 You understand the impact a book can have on a teen. You understand how important it is to offer a wide variety of books to get our youth on that path of reading. You understand the satisfaction that comes from finding that book . . . the one that speaks to you and changes your life. If you have any gently used or new books that would be appropriate for middle or high schoolers and which you would be willing to send to me, please contact me using the Contact Me tab above (or just click on that link). If you don’t have any books to send, but would be willing to donate money to the cause, I have set up a GoFundMe account. I will use any donated funds to both buy books and help pay for the shipping costs (which are HUGE). Even a dollar donation will make a difference! If you have no extra money or books to share, I totally get that. I have been there (man, have I been there). What you can do is spread the word! Share this post on twitter or facebook. That would be a huge help! I plan to send a shipment (or 2 or 3 or however many I’m able) at the beginning of December in hopes that they will arrive before the start of their next school year (Jan/Feb). Seriously, if you can’t help, please don’t feel even the teensiest bit of guilt. We can’t all do everything, and there are a lot of great causes out there. I appreciate that you are here reading my blog post, and I appreciate your friendship. Thank you for listening, now go forth and have a great day! I’ve been reading the Harry Potter series to my kids, and it’s been awesome. And not just because I can get them to do their chores with the promise of reading another chapter. They’ve loved it! But doing so has really brought back memories of my childhood. Curled up on the floor or in my bed, listening to my mom read stories to us. I even remember staying home sick from high school (HIGH SCHOOL !!! ), and laying on the couch listening to her read to me. She has been a long-time lover of children’s literature, and I directly attribute my obsession with it to her. There weren’t nearly as many choices back then, but what there was, she found them. I wanted to mention a few, because not only have all of these amazing books have influenced who I am, but these authors were the pioneers that made what I’m doing even possible. As a little kid, my mom read picture books to us. A few stand out in my memory as ones we made her and my dad read over and over and over. 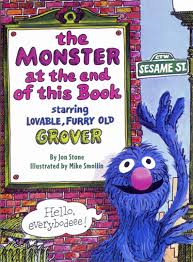 THE MONSTER AT THE END OF THIS BOOK by Jon Stone was the BEST. Fear of the unknown was a real thing for me back then. (Okay, it still is.) I remember hating to go downstairs on my own, because WHO KNEW what might come out of that big pot-belled wood-burning stove down there??? And it was dark. And it smelled funny. And the carpet had this crazy brown and orange pattern that could start spinning and might HYPNOTIZE me, and what would I do then??? Point being, I got Grover. I understood! I sympathized with his fears. But I still laughed every time we turned that page, and the story got messier and messier, and the pages got rattier and rattier (both figuratively and literally because we read that book so much). I LOVED being part of the story. It was all so real. Even though of course I knew it wasn’t. And I don’t want to ruin the ending for any of you who might not have read it (and if so, watch out for the Goodreads link above . . . they aren’t so careful), but this book made me braver. It helped me step up my courage, and you know what? I dared go downstairs on my own (okay, maybe not at night, but baby steps, people). I dared press forward into the unknown. Because lets face it. Life is full of A LOT of unknown. This book was a real part of my childhood. One that influenced me big time. So thank you, Jon Stone for writing it! Thank you, Sesame Street Creators for making such a great character! And I realize this is all going to take more space than one blog post can handle, so I’ll just have to blog about this again. In the mean time, tell me about a book that influenced your childhood. I’d love to hear! I was first introduced to Fancy Nancy by Jane O’Connor almost 6 years ago when I discovered the original book on display in the library. Even though I was never a Fancy Nancy, I thought it was brilliant! My daughter was an infant at the time, but I read it to her (and my boys who also thought it was very fun). And who knew that my daughter would turn out to be the fanciest of Nancies? So when my local library threw a Fancy Nancy party, I was all over that. And so was my daughter. We RSVP’d, and my daughter dressed up in her fanciest clothes. She even borrowed a hat from our neighbor. At the party we decorated tiaras. We ate cookies and punch. We listened to Fancy Nancy books. And when it was over, we decided that we simply must throw a Fancy Nancy party of our own. The plans are in the works. How about you? Who is one of your favorite characters from a book? I find books very fascinating because they are able to take you to places you wouldn’t be able to go in real life. And when you are focused on a book, it starts to come alive in your mind. Pictures soaring through your thoughts. Personally, I prefer realistic fiction, and fantasy, and historical fiction. I also enjoy mystery books. A to Z Mysteries are especially enjoyable. I find it quite interesting because in the mysteries they start asking the questions about who it could be and then they take their thoughts into an experiment and go through it like the scientific method. My favorite book is called ICE FIRE by Chris D’Lacey which is the 2nd book of the Last Dragon trilogy. It is a very enjoyable book and when you read it, it feels like you are entirely swept away to another world. For generations a family has created clay dragons that live and breathe fire. They can create these dragons because they are descendants of the last dragon. Then one day, a young boy comes to them as an exchange college student, and he discovers their secret. Later on during ICE FIRE, a witch tries to force the family to create her a real dragon, unlike the clay ones. The young boy is caught up in an enchantment by this witch and has to find his way out and save the day. The reason I like ICE FIRE is because it doesn’t reveal everything that’s going on in the beginning. It kept me turning pages because I wanted to find out what was going on. 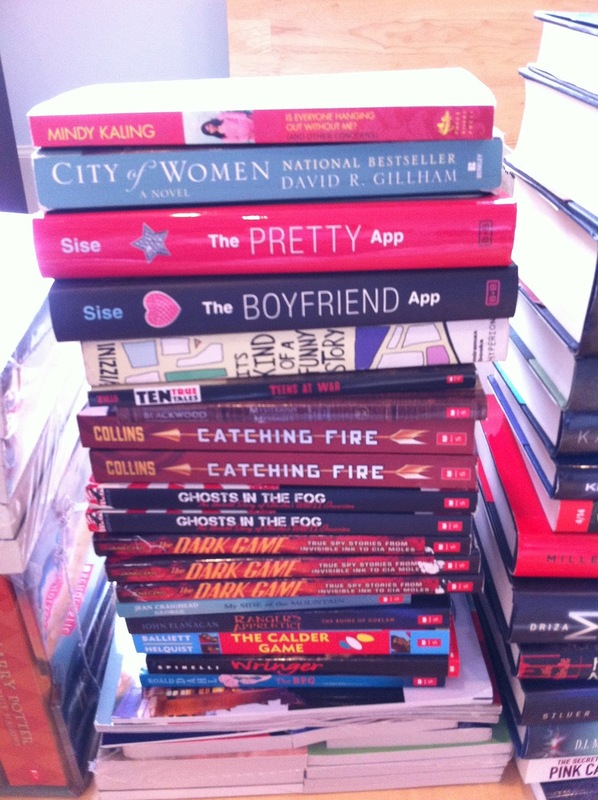 What does your TBR (to-be-read) pile look like? P.S. Don’t forget to enter for your chance to win a signed copy of Gaby, Lost and Found. You can find the Rafflecopter HERE.